Our campsite is the ideal base to pitch your tent, install your caravan or your motorhome in a flowery and relaxing environment. We attach the utmost importance to the space allocated to each site so that everyone can feel at home, which is why we offer pitches of 80m² lined with hedges and punctuated with shrubs. These green spaces are particularly appreciated by nature lovers. To bring you more comfort, electricity can be added to each of our locations. You can also rent a refrigerator at the reception. This location is ideal for families on holiday in Corrèze. Its capacity of 6 people makes this camp-site the perfect alternative for your future holidays in the Limousin. By renting the campsite Le Gibanel, you will experience the true camping experience while enjoying the comfort of enjoying your holidays with friends or family. 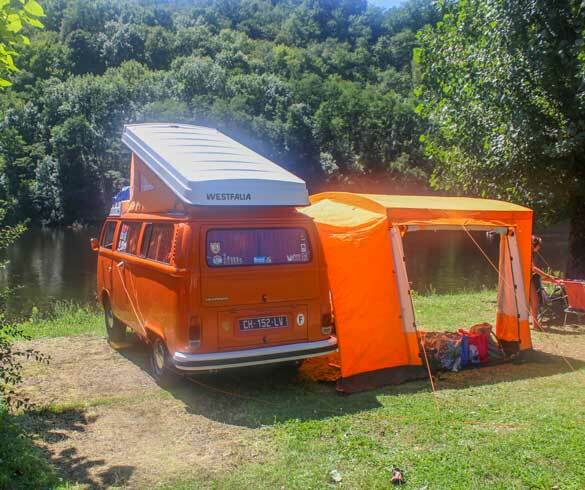 In addition, camping-caravan sites are ideally located to discover the Corrèze. You will not hesitate for a second to explore the riches of Limousin. French plug, provide extension cord. odio ipsum dapibus Sed Lorem libero neque. consequat.